The Alabama and Quassarte people each had a distinct identity as a tribal town in their ancestral homelands in the Southeastern U.S. and are closely related culturally to other Muskoghean-speaking peoples such as the Creeks, Choctaws and Chickasaws. With the encroachment of Europeans into the region, many members of these two groups, in an attempt to avoid contact with the Europeans, migrated southwest into Louisiana and Texas in the 1790s and early 1800s where they remain (Coushatta Tribe of Louisiana & Alabama-Coushatta Tribe of Texas). The members who did not leave formed an alliance, participating in the old Muscogee Nation Confederacy government, and hence were subsequently included in the Removal Act of 1830. The Alabama and Quassarte People settled into Indian Territory in what is now Hughes, Okfuskee, McIntosh and a portion of Seminole Counties. 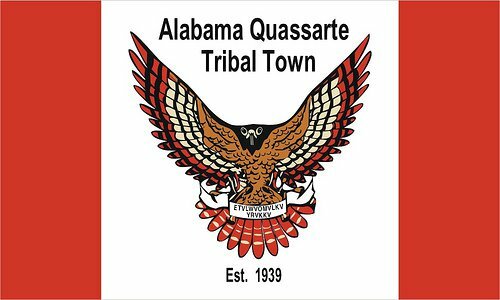 During the 1930s, the Alabamas and Quassarte merged and organized as a tribal town separate from the Creek Nation and maintained a traditional tribal town political structure.